Yukon Paleontologist Grant Zazula will be at UBC Okanagan Tuesday, January 27 to share his knowledge about the creatures that once roamed the territory’s landscape. When: Tuesday, January 27, at 3:30 p.m. The Yukon is Canada’s most productive and important region for research on Ice Age mammal fossils. Since the famous Klondike Gold Rush of 1898, miners in the goldfields near Dawson City have uncovered spectacular fossils of ice age mammals—from woolly mammoths to extinct camels. These discoveries in the frozen ground continue today and Yukon fossils form the foundation of a plethora of international scientific research. Join UBC Okanagan Assoc. 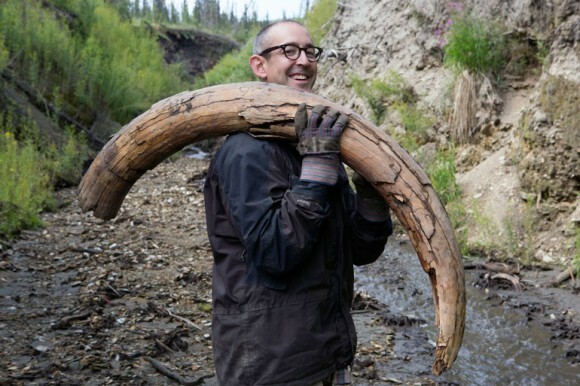 Prof. Robert Young and special guest Yukon Government Paleontologist Grant Zazula as they reveal how scientists work together with the local gold mining community to examine the fossils of strange Ice Age beasts that once inhabited Canada’s north. As the government paleontologist, Zazula works closely with the Yukon placer gold mining industry to ensure that Ice Age fossils uncovered at gold mines are collected and preserved for research. From woolly mammoths to ancient camels—the incredible fossils of the Yukon contribute to numerous international research studies on the evolution and ecology of the ice age. Zazula will highlight how the fossils help us understand how ecosystems have changed through time as a result of climate change, why the mammals went extinct, and how did present day communities in the north become established. The presentation is part of the Earth and Environmental Sciences Graduate Seminar series through the Irving K. Barber School of Arts and Sciences. This event is free and open to the public. It takes place Tuesday, January 27, at 3:30 p.m., room SCI 337, Science Building, UBC’s Okanagan campus.